My experience of parish work as missionary of Africa (PE nr. 1084) | M.Afr. 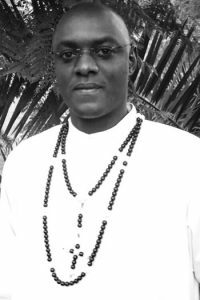 Since 5 years, I am in mission in the parish of Saint Therese of the child Jesus-Dyou, Diocese of Sikasso in Mali, in the West African province (PAO), that is to say since my priestly ordination. The Diocese of Sikasso comprises of 8 parishes with 25 diocesan priests, of which only one is animated by the missionaries of Africa since its foundation on January 14, 1953. Only two male congregations exist in this diocese: the Salesians of Don Bosco with their training center and two communities of missionaries of Africa, namely the Senoufo Center and our parish community. Our presence brings a little diversity in the diocesan configuration and in its pastoral approach. Simplicity in contact: in order to really be «all to all», the investment in learning the local language has made me very effective in pastoral work. I can freely preach, advise, make free pastoral visits and stay in their homes without seeking comfort. All these attitudes are a great testimony that evangelise our interlocutors. Touring our 23 villages in rotation allows us to get in touch with the reality lived in all the communities. Every Sunday evening we share in our joys and frustrations of the mission, while encouraging each other. It is a moment of mutual relaxation and enrichment around a fraternal drink. As for Monday evening, the day of our rest, we have a Mass during which we share our spiritual experiences listening to one another. It is an activity that allows me to present to the Lord the whole parish community with its joys and pains. catechesis to deepen the faith of our Christians who let themselves be easily tossed by the routine of life provided they have a satisfaction. There is a lot of duplicity in most of them, which explains the lack of commitment of some … I firmly believe that if they were seriously following the catechesis and had a life of prayer, they could understand what is meant by taking up one’s cross. It is said that «Even a rose is in the middle of the thorns». It is challenging to live the Christian faith in a strong Muslim environment without fear or compromise in front of the difficulties encountered. Literacy: most of our Christians are illiterate, and there is an urgent need to teach them to read and write so that they can learn more about the Scriptures through personal reading, greater involvement in community activities. Sometimes there is no one who can read in certain communities and it is up to the priest or stagiaire to prepare or do everything … If the faithful learn to read and write, they can manage their activities without much frustration … and this will make everyone happier in the mission. Training in self-reliance activities for the real liberation of the human person, ie training them and educating them to be financially independent so as to participate in the functioning of the parish. Most Christians think and believe that the Church is there to distribute money to them, that the Church is rich and does not expect anything from them. We work hard to give them a true image of the Church knowing that they themselves are part of it, and thus gradually free them from the spirit of begging. Awareness-raising activities on Justice and Peace: we live in mining areas. 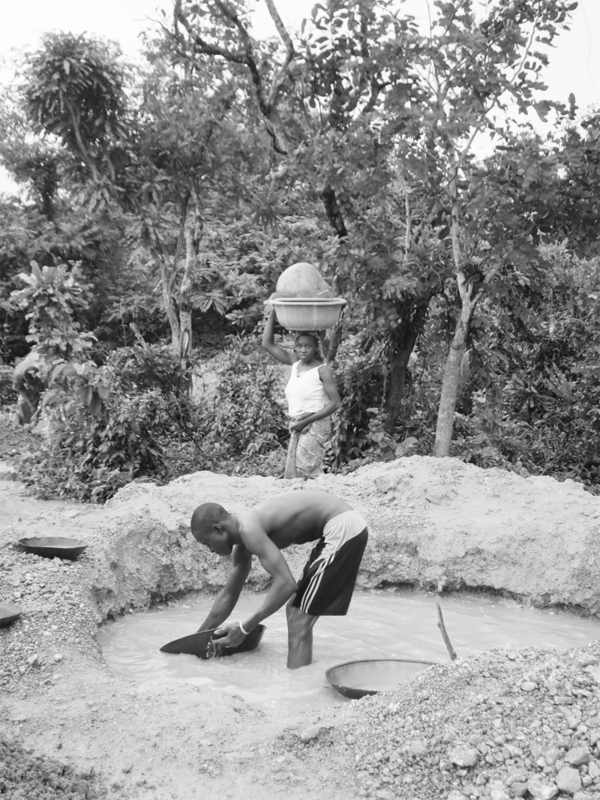 There are many traditional mining sites in our territory and this attracts everyone. 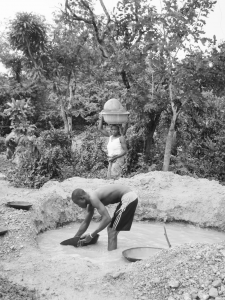 The most painful thing is that there are many miners and young people from all over the sub-region looking for easy money. However, this is a myth, because only a handful manage to get away with it positively. Through awareness-raising evenings we want to help these people understand the dangers they face when working without any warranty or protection. My dream coincides with that of Pope Francis as expressed in his encyclical «Laudato Si»: everyone must have the concern to keep and safeguard our common home. My biggest observation is that I have been lucky until now to find myself in a community made up of 3 confreres «semper tres», and stagiaires whom we help in their discernment of their missionary vocation. 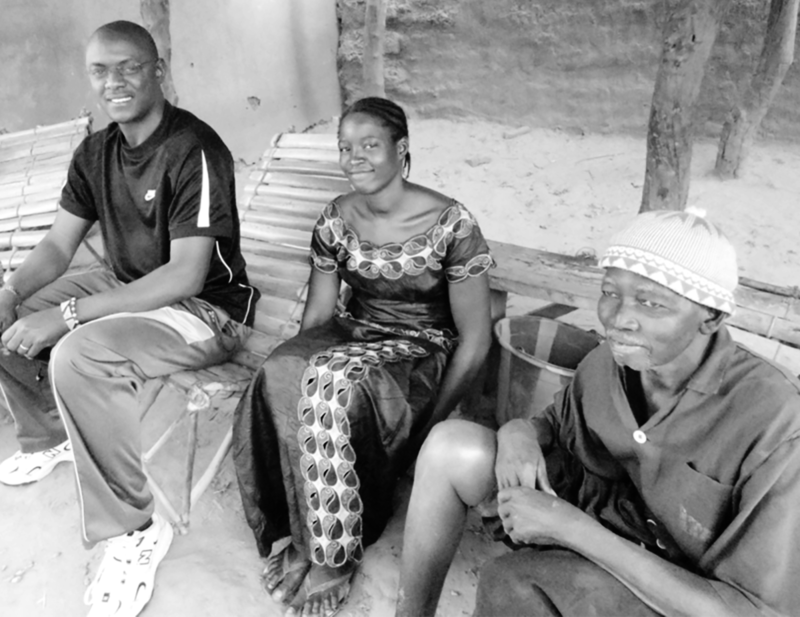 As in every missionary community, we have established a community project that helps us to live specifically our ideal and to insert ourselves into our environment of first evangelization (with many influences of traditional religion and Islam …) as someone liked to say: in Mali, there are 85% Muslims, 15% Christians and 100% animists. This still explains the strong social pressure of traditional African religion. Nevertheless, there is a real religious tolerance in my mission area and we religious leaders often meet formally and informally, encouraging us to preach peace, tolerance and forgiveness. The heart of man being unpredictable, we remain cautious in our manner of speaking and doing. This pastoral care excites me greatly and gives me joy whenever I meet a certain receptivity on the part of certain people; when I think of Jesus, St. Paul, Lavigerie and many other apostles who have encountered difficulties in their mission but have held fast through faith, their unfailing trust in God and the consolation found in their mission. Yes, this mission is worth living! Previous PostPrevious Guy (Guido) Bourgeois, R.I.P.